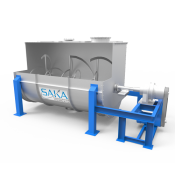 known for its trouble free and consistent performance SAKA’s allied products ensures that your process plant runs smoothly with any hassle. 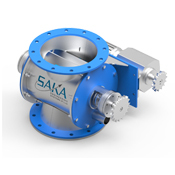 SAKA has a wide range of allied products right from rotary valve to blowers and heat exchangers. 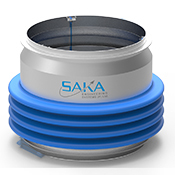 Known to demonstrate an unparalleled performance and efficiency, SAKA’s allied products has earned a high reputation among the clients cutting across wide range of applications and industries. 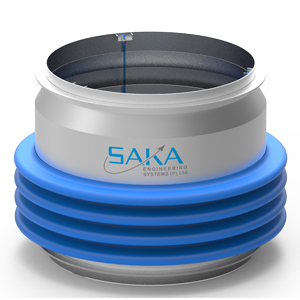 A deep Knowledge of the customer’s processes, Through understanding of applications and strong engineering expertise are pivotal to SAKA’s product design. 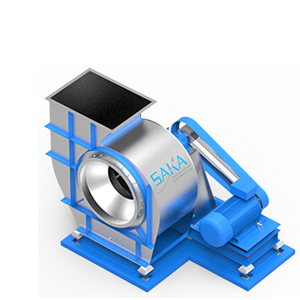 Every step in SAKA’s process, be it CFD analysis, material selection or quality and testing, is aligned to meet the customer’s goals in productivity, end product specifications and EHS norms. Highest quality of materials and advanced technology are the hallmarks of our systems. 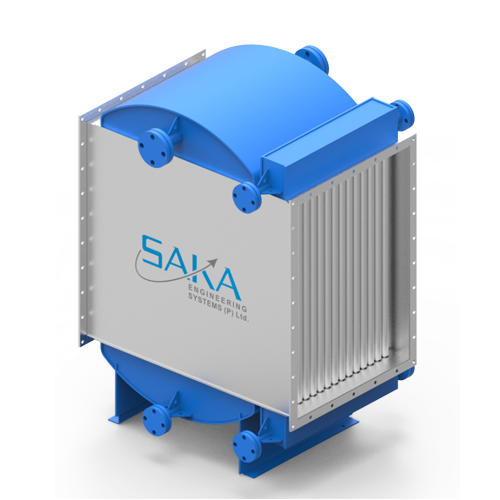 No matter how big or small is the air handling requirement for your process, SAKA’s specialist range of industrial blowers are designed to perfectly meet the needs in air flow capacity, velocity, coverage and energy consumption. 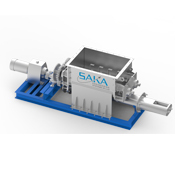 SAKA’s Industrial blowers are known for dust handling design and sturdy construction. Manufactured with Australian collaboration, our blowers are made from exotic raw material making it ideal for wide range of industrial applications. Forced Draft Blowers are ideal when positive and controlled pressure is to be maintained in the system. 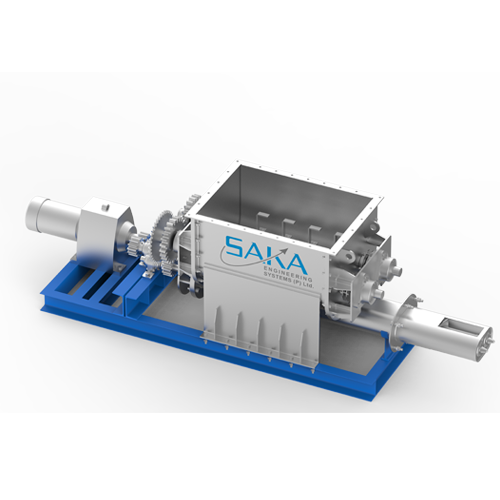 SAKA’s specialties include thoroughly analyzed, proven designs that achieve ideal performance across diverse process applications. Rotary disc atomizers are ideal for material which are viscous or very abrasive in nature. These atomizers come with a perforated disc which rotates at very high speed, large flow rates and provide homogeneous spray. The feed is introduced through this rotating disc which throws the liquid outward, at very high velocities to create formation of fine droplets. 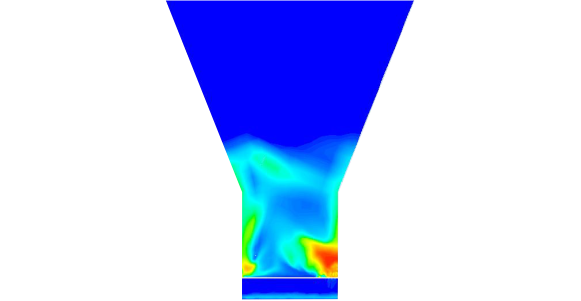 In-depth analysis of Rotary Disc Atomizer designs using advanced CFD analysis means an assured performance and long life when put to use. Pneumatic conveyors use air as a force to transfer the material. The quantum of force to be applied depends on the product and its properties. Since hot or cold air can be used in the pneumatic conveyors, additional drying or cooling effect can be provided. 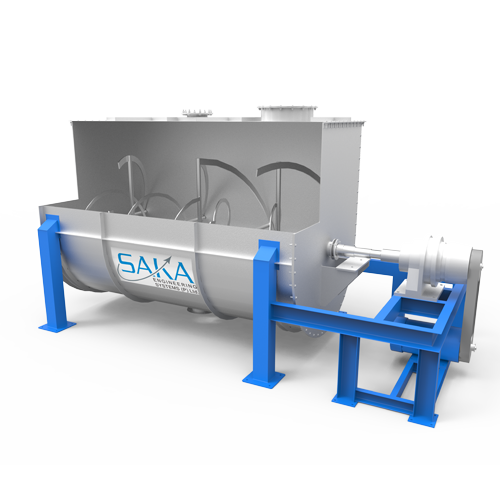 SAKA’s pneumatic conveyors can be used with spray dryers and best result can be achieved if ambient air is used giving dual effect of conveying as well as cooling the material. Expansion ducts, also known as expansion bellows or joints, are used at the ducts which are prone to get damaged due to thermal growth, vibration, pressure thrust and other mechanical forces. SAKA’s flexible steel make expansion ducts are tested for performance using extensive CFD analysis thereby assuring good quality and zero wastage of material or heat due to leakage. Sturdy construction means the bellows can withstand the pressure, thermal growth as well as vibration during process ensuring the safety of material and operators. 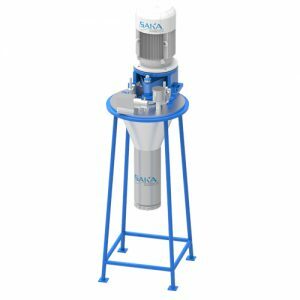 SAKA’s Screw Feeders come with modular designs which caters to special material conveying requirement in free flowing dry powders, grains, to semi-fluid materials. 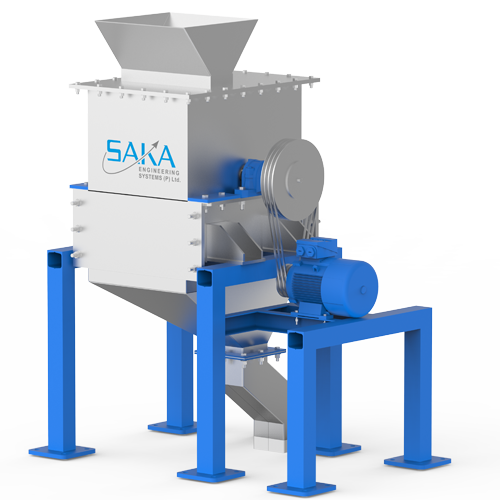 The Screw Feeders from SAKA are used in diverse industries such as Glass, Soap & Detergent, Welding electrode, Chemical, Minerals Processing, Food, etc. 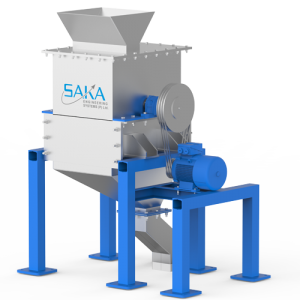 SAKA’s screw Feeder is designed for continuous and flowing pick up from material hopper. Manufactured with greater pitch spacing, SAKA’s screw conveyors deliver more carrying capacity without increasing rotation. 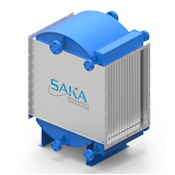 SAKA offers complete range of heat exchangers, used for providing warm air to Dryers, Evaporators, Ovens many other applications. Known for high thermal efficiency, proper insulation our heat exchangers comes with direct and indirect type. 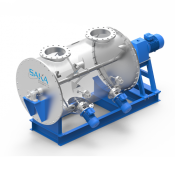 Using steam, oil and electricity as fuel SAKA make heat exchanger are capable to provide consistent heat through out the process. 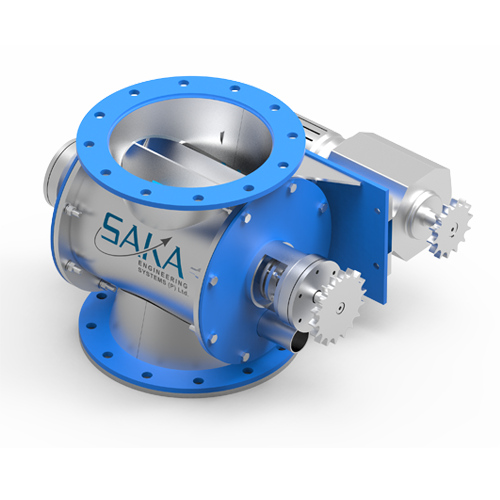 Choose from SAKA’s wide range of Rotary Valves. Known for their superior performance our rotary valves can operate even in extreme condition. Manufactured from best quality raw materials as well as stringent quality standards means assured efficiency and best control over the flow process. 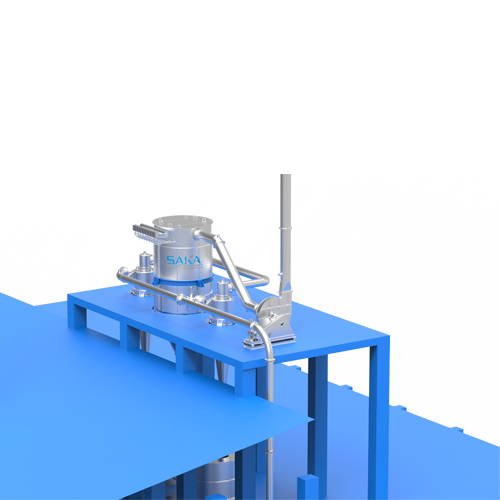 Rotary Valve is a compact mechanical device to regulate the flow of a material from one chamber to another continuously, while maintaining a good airlock condition. 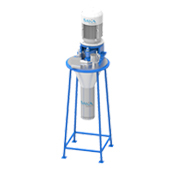 SAKA Make Blenders are known for their premium quality that are ideal for blending of various type of material. 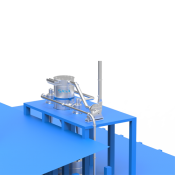 Fast, uniform and efficient blending are few of the most important features of our Blenders. Available in various sizes and capacity our blenders are corrosion resistance, sturdy and durable. SAKA’s plaugh mixers are well known in the industry for it homogeneous product mixing and high efficiency. Manufactured from finest quality raw material our plaugh mixers are safe and extremely easy to operate. Capable to blend dry as well as granules our plaugh mixers can also mix products with lower viscosity without adding liquids. 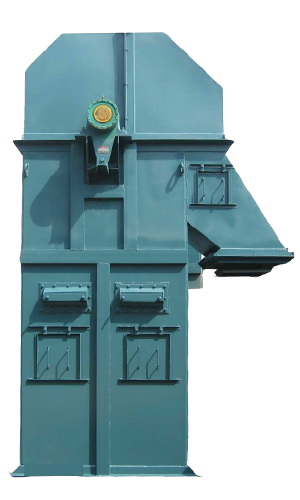 Coal crushers are used to reduce the size of the coal for further preparation or used as fuel for boilers, HAG etc. 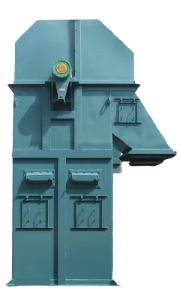 SAKA’s coal crushers are known for converting coal into specific size as per requirement. With option of hydraulic, electrical and automatic operation our coal crushers are very easy to use. 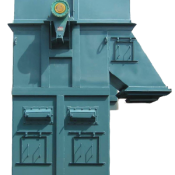 Bucket elevator is ideal solution for vertical transportation of material such as grains, coal, pellets , powder etc. 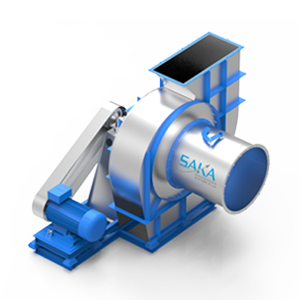 Bucket elevators from SAKA are known for their low energy consumption and extremely safe operation. Manufactured with high quality steel our bucket elevators can transport wide range of material in gentle manner.